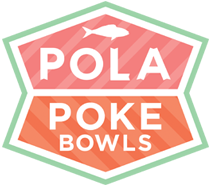 Pola Poke is proud to bring fresh poke and acai bowls to Reno, Nevada! We are a locally owned business created by a Reno native. Our sustainably and responsibly sourced bowls offer the perfect combo of healthy and tasty. Customize your bowl to kick start your wellness and nutrition for the day. Choose from our menu or make it your own. Poke is a nice change of pace from fast food, but Pola Poke Bowl is a step above other places I've tried! The ingredients look and taste fresh and the restaurant is clean and bright. 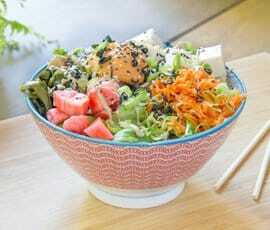 A Pola Poke Bowl isn't just a change of pace, I feel like I'm making a healthier & tastier choice for myself! This is my new favorite "go-to" place! 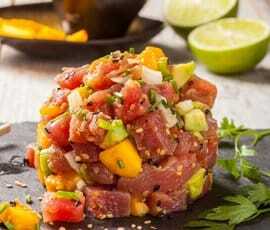 Pola Poke = yum. 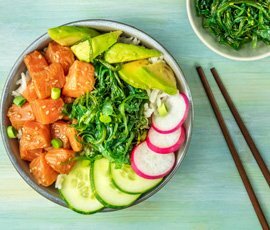 Best poke bowls in town! Service and atmosphere are wonderful too. Well done guys. Pola has the freshest ingredients! I've tried Poke Bowls all over the US, including in Hawaii- and Pola ranks right up there with them, Yum!! 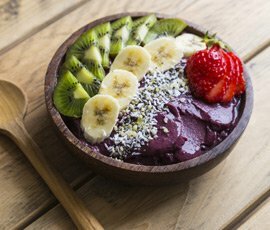 The acai Bowls at Pola are my favorite breakfast in Reno, they're so yummy and filled with the best ingredients. Beautiful restaurant, delicious acai bowls and great coffee! Will definitely come again! (I still need to try the poke bowls and can't wait). Overall impressed. Its doesn't feel like other poke joints. Very original! Best healthy eating experience in Reno hands down. Fun and casual atmosphere with options for all kinds of dietary needs and wants.